Carmel’s Charlie Mills slides safely into second as Haverstraw shortstop awaits throw. CARMEL – Ridge Dulitz picked up the win on the mound Saturday, as the Carmel Cubs 16U baseball team defeated Haverstraw, 8-3, in a WPBA game played at … Please login below or purchase a subscription to the Putnam County Courier to access this content. 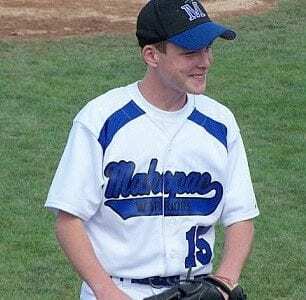 Kevin O’Connell of Mahopac pitched a perfect game last week. MAHOPAC – The Mahopac Warriors 16U baseball team got a rare performance last Saturday, as Kevin O’Connell pitched a perfect game in a 6-0 victory over Nanuet in a New York… Please login below or purchase a subscription to the Putnam County Courier to access this content. Chris Epp of Patterson had two RBI in a win over Kent Saturday, and two in Monday’s playoff win over Ossining. 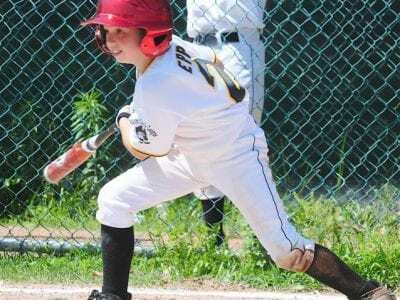 PATTERSON — The Patterson Pirates 10U baseball team won its final four regular-season games last week, beating Mount Kisco, 12-… Please login below or purchase a subscription to the Putnam County Courier to access this content. 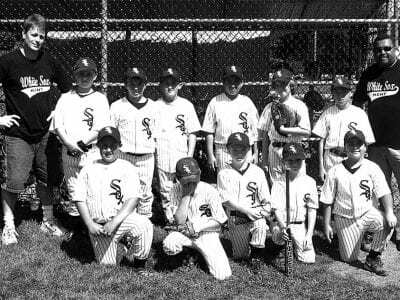 KENT – The Kent White Sox 18U baseball team wrapped up a WPBA division title for the second consecutive season last week, finishing regular-season play at 17-3, with playoffs set for this week. The No. 1 seed White Sox were scheduled to open… Please login below or purchase a subscription to the Putnam County Courier to access this content. 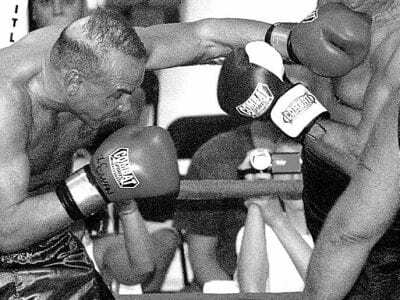 Mahopac’s Don Swansen lands a left on chin of Putnam Valley/Kent’s Joe Kenna in their July 25 heavyweight bout at the Brewster Ice Arena. Most guys, when experiencing a mid-life crisis, go out and buy a hotrod convertible to appease a se… Please login below or purchase a subscription to the Putnam County Courier to access this content. Last Friday night’s Patterson Fire Department parade and carnival was canceled, as wind and heavy rain clobbered Putnam. 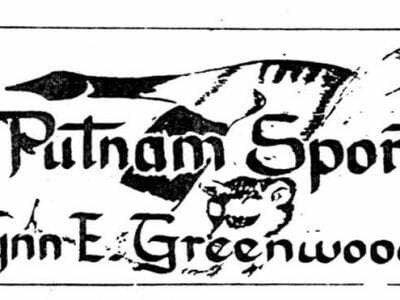 All “the best laid plans of mice and men” were scuttled, including the much-looked-forward-to, particip… Please login below or purchase a subscription to the Putnam County Courier to access this content. BREWSTER – The Tri-County Bulldogs 16U baseball team picked up an 8-7 victory over the Monroe Crusaders Sunday at Brewster High School. TCB also split a double-header with Wappingers Saturday, dropping a 5-2 decision in game one, then winning … Please login below or purchase a subscription to the Putnam County Courier to access this content. 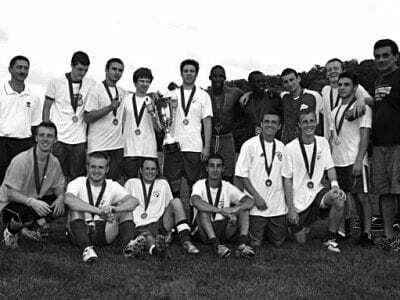 l-r: bottom row: Thomas Fava, Mike Calcagno,Shane Dalrymple, Jacob Rock, Antonio Cretara; top row: Coach Heis, Dillon Maglio, Vincent Scarduzzio, Nick Heis, Kenny Benitez, Tyler Parshley, George Love, Coach Benitez; missing: Connor Zappolo The 9-yea… Please login below or purchase a subscription to the Putnam County Courier to access this content.